Want to know if this is your year? With the StarLines Astrological Calendar, you can plan out 2008 in three critical areas of your life that includes Love and Romance, Career and Money, and Health and Well-Being. Until you can get your own reading, Starlines professional astrologer Amy West has given us a reading of what’s to come for 12 of our favorite celebrities. 2008 focuses on nurturing child and own inner child. Jennifer loves to stir things up, to find what it’s made of whether it’s her love relationships,friendships or assets. Who’s in charge requires a balance of what’s nebulous and what’s real. The absolute truth that nothing real can ever be threatened is driven home. This is a year of walking away with no regrets and bringing more joy into the simple day-to-day. Energy is driven to transform diet for clearing toxins and surprisingly to Jennifer her intuition is enhanced. One transforms the other. A gift from spirit is received between the end of January and early February turning an ideal into reality, feeling truly heaven sent. There are aspects of the ‘significant other’ that cannot be fully known. 2008 is the time for Jennifer to enjoy the mystery of life and to see it as a plus for engagement and enchantment. The focus for 2008 is manifesting desires into form and utilizing energy cycles. There is an assuredness that delivers. The key for Tori is to capitalize on how the Moon affects her energy and to get into her timing. Being in her timing insures that no one can push her buttons. This is a year of great love for Tori including love for self, the initiating energy for awakening the true self. There is a call for fresh starts and possibly the pitter patter of new little feet. When it comes to Tori’s wishes and they may be many, any apparent block is of no consequence. Driven and direct she is in the position to make it happen. Resources are unlimited, in truth. The ‘significant other’ relationship is infused with love and passion. Life has a poetic quality and Tori dances through in rhythm and rhyme finding a depth and a height to satisfaction of the legendary kind. The seed was already planted and in 2008 the seed sprouts, grows and comes into fruition. An idea comes in that is brilliant, powerful, prosperous and life transforming. Big, big, big changes come in and like the phoenix Alanis comes through the fire transformed. 2008 is a milestone year, one that Alanis will look back on and feel the excitement. The key is for Alanis to always, always, always be honest with herself and that is the catalyst. 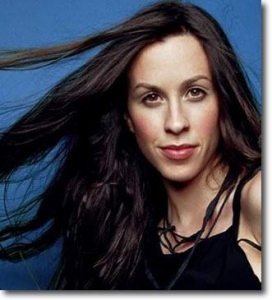 The love of Alanis has substance, value and at essence no superficiality. Males are a big part of the energy and the luck. With greater reward a greater risk is part of the deal. The happening place is the 9th house of vision, philosophy and higher mind. Comfort and emotions are balanced through achievement, utilizing resources and writing one’s own ticket. Gemini… they make us feel like a kid again! At the heart of 2008 Jessica experiences a happy home and sharing good memories with friends. At the head of 2008 the experience is report card time. Jessica’s first Saturn return occurs this year and report card results may be a shock. There is a challenge to understanding reoccurring themes and to get a clear picture of romantic relationships. A key would be to use emotions as a guidance system, to use her natural nurturing talents in making her dreams come true and to get more in touch with the part of life that can’t be seen. Romance takes Jessica by storm and a rival rains in. In the end chances are she’ll walk away. The major experiences for the year are flavored by the Saturn return and how well she’s kept life in her learning for the first 28 years. Claiming no regrets Jessica is enlightened on a corporate deal that will stick with her being for many years to come. While walking the path of fascination with life, in turn life is fascinated with Jessica. What Charlize communicates and how it is perceived is the focus for 2008. There is a foggy quality in public perception. Time is required to get a clear picture. Not wanting to waste energy on unproductive pursuits Charlize has a good understanding of how the world works. The challenge is to understand the why of her own actions. A teacher of importance enters her life in form or experience. The curriculum is self-love. Otherwise, the energy comes out as a wet blanket feeling- not enough love. It looks as though she is moving forward in mind, body and spirit solo. The key for balance is in nurturing her inner child and children in general. The financial flow is successful with fantastic results, clearly no issue. An ideal is made a reality in regards to work in a foreign country blazing new trails, connecting to the neighborhood and working with/for a futuristic Maverick. The focus for 2008 is reality, responsibility and re-energizing. Big changes come in with 2008. Just standing still, all the responsibility gravitates to Beyonce. Vitality is strained. It’s the time for a break. Worries, hanger-ons and what no longer serves her evolution is released. If the work experience isn’t new and unusual it’s hard for Beyonce to stay interested. Her Scorpio Moon is calling for change of venue, and Scorpio means business. There is a ‘quiet’ aspect to the changes coming in this year, mums the word on her fresh start plans. Heaven sends loving blessings into her year and hellos from above. Fresh starts in romance hold the opportunity for intensity of experience. The key for balance is in the thoughts and not letting self-talk work against her. Beyonce can read others like a book and this is the year that she will bring in endings that are final and non-negotiable. In 2008 breath gains new focus. Change is welcomed and rewarded with victory and awards. Gwen came into this life to break the rules and/or do things in her own unique, one of a kind way. Creative expression, children and romance are the happening place. Love combined with responsibility and restriction act as the catalyst to open Gwen to manifesting talents and desires. Ambitions escalate early Spring stirring up emotions and sleep patterns. Impassioned, Gwen loves the work and it shows. Yet, there have been issues with financial deals in the past and this has resulted in trust issues. The past experience did not go wasted. Taking precautions and taking her time pay off in dollars and sense. By year-end new study comes in of a mystical nature. Gwen’s energy has a zest for life and the bottom line is victory is a given. The focus for 2008 is creative expression and compassion. Anne’s career shifts into high gear and the year proves to be extremely productive, particularly demanding and difficult to balance. Over analyzing may be a contributing factor. It’s easy for Anne to over-do this drive which carries over into finances. Over spending or generosity with income and assets is just too easy. Real estate investment provides solid support. The family structure needs assistance and compassion. There are shifts in the dynamics which push Anne inward toward her own light and love then outwardly to take a lead role in implementing changes. Anne’s mind is sharp and she is tuned into all that is going on around her. A romantic relationship blossoms while Anne retains an air of independence. There is an aspect of moving through tribulations with grace and ease. Synchronicity gains high focus for 2008. People, events and Nelly’s own drive to buck authority fall into perfect timing. What begins as bucking the system ends up fueling the expression. This is a catalyst year in which inspired, original action is heaven sent. Nelly knows she’s onto a good thing as she starts to dream about these new ideas and projects and the future in connection. Nelly came into life to soar, write her own ticket and to do things her way. Her talents shine in these areas. As received with a healthy report card indicating good balance. In regard to friendships or relationships, Nelly will kill off metaphorically when any sign of deception or falsity is perceived leaving the other in the dust wondering just what happened. Nothing happens by accident and given that a truer picture of life emerges and a deeper connection. Balance is the focus for 2008. Early in the year a healthy lifestyle takes center stage and as the year develops partnership and sharing a happy home forges the heart open for greater experience. It’s a year of nurturing relationships, dreams coming true and initiative. Clear seeing is needed in financial transactions, check, double-check and second opinions pay off. Having learned life lessons the previous year and sharing, teaching about those experiences to others the soul is fulfilled in deep satisfaction and affinity with nature. The Earth Nature spirits such as Fairies have a deep love for Kate and she for them. The connection brings in epiphanies that Kate has the opportunity to enhance all that she touches and all that touch her. Yes, life is magical and the celebration of life is her knowing. Paris moves into 2008 with a contagious inspiration for success in enterprise and the significant relationship. This is a year of raising the bar of expectations. What was acceptable before must be better or new now. Paris is a communicator and this year provides the material to step up to the challenge, prepare behind the scenes and close a very ‘sweet’ deal. The key for Paris is to trust and use her feelings, i.e. clairsentience for perfect timing and inspired communication. The public sees Paris as more serious this year, yet the out of the box thinker she remains. Dreams step up a beat. Dreams of the night and the day variety bring a whole new understanding of the world and her connection to it as an individualist. A relationship of romance is exhilarating yet needs more time to come full circle. Basic needs must be met including open communication. Eva loves the Maverick. In 2008 fresh and newflavor Eva’s world and the benefits are received first in her home. Emotional balance is found in nesting and enjoying home, family and heritage. Real estate opens up benefits for many years to come. In terms of the ‘significant other’ the key is for Eva to not give away her power. The time comes to stand her ground with crystal clear intention and faith. Eva comes into the world to teach love. Networking, group organizations and philanthropic work bring in opportunity for reaching a wider audience. Eva loves the world and in turn the world loves Eva. Talents are recognized and rewarded. In her gentleness hearts are touched. In her feistiness masses are transformed. This is a year of initiating new game plans. Some advisors and/or friends may need to be dropped and new added. A deja vu experience is the catalyst for taking action. Visit MyStarlines.com to purchase a 2008 astrological calendar or MoonGlide.com to get your personalized reading by Amy West.